When it comes to choosing what birds need to be in the collection, I always try and look close to home. My dad is lucky enough to have Gold crests visit him in the garden. Although they are tiny and sometimes hard to see, they bring real joy! The Gold crest is the smallest bird in the UK. They have tiny thin beaks, ideal for picking insects out from between pine needles. Gold crests group together in flocks of other small birds during winter and autumn, so I have drawn 6 different birds in the design. They can often be found in coniferous woodland or parks with large mature trees. They arrive in the British east coast from Scandanavia in the autumn, and make their way across dunes to a suitable habitat. 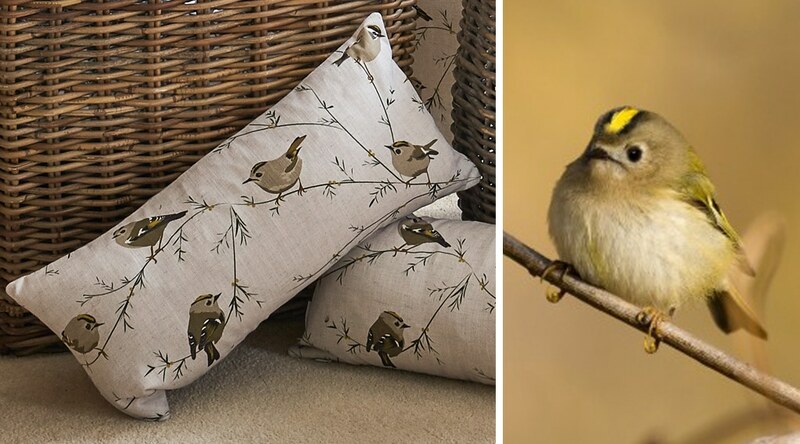 Gold crests are common all around the UK, and you can see them all year round! Gold crests are one of my favourite birds, and I love going for long country walks and seeing them with the other small birds. Especially has I now have so many fields behind the house. 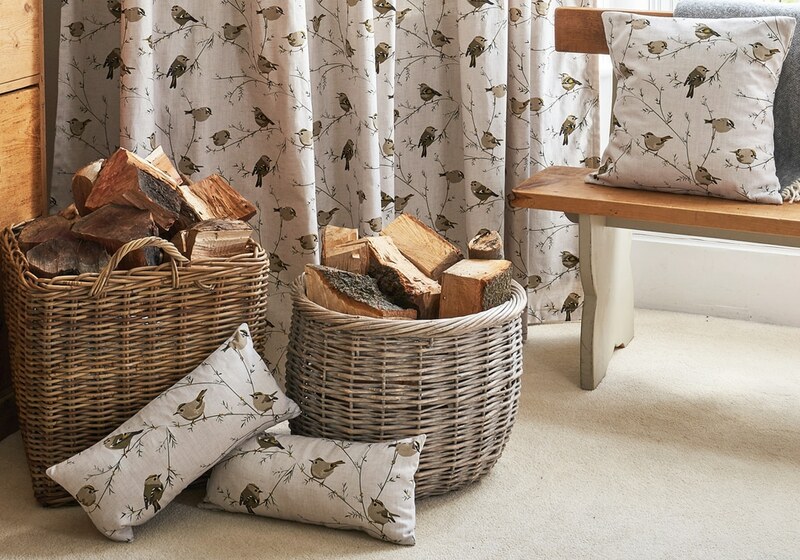 The Gold crest design includes fabric, wallpaper, lampshades, cushions and plant pots.